This is an extended interview with Raven De La Croix. This is another inspiring interview with Raven De La Croix. I was delighted to do this inspiring interview with Raven De La Croix. From Actress to Exotic Dancer to leading edge "Goddess"
Safe ~ Affordable ~ Comfortable ~ Healing ~ Ideal Location ~ Fun ~ Capture ORBs on film for you! ~ Beautiful Views! Local Private Trail head ~ Observation deck ~ Psychic Aboard ~ Tour Guide ~ FREE Tea & Coffee & Toast ~ Flower & Fresh Fruit ~ Scotties & Kitties & Tortoise too! A one of a kind experience! Sacred Vortex ~ Film Orbs~ Spiritual Breakthroughs! Breath work ~ Intuitive Life Coach ~ PRIVATE Day & Night Tours ~ Feel the energy of the land as you collect the gifts of the Vortexes ~ DNA Activation. Merkabah ~ Wildlife ~ Raven?s Haven! Inter~Dimensional Angels ~ Mysterious Life Forms ~ Spiritual Guardians ~ Tours with photos of you and ORBs ~ Day or Night! Dancing up a storm for over 20 yrs ~ Sedona?s Red Rockin? Grannies range from 55 yrs and up to 92 years old! NIGHT TOURS w Night Vision Goggles! 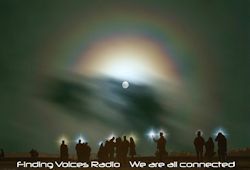 UFOs & ORBs ~ Angels n Aliens ~ Missing Time ~ 2012 ~ Dream Interpretation ~ Abductions ~ Healing from Trauma ~ Implants ~ Creating the Life You Want!